Free 500 on-net minutes, so you call any Zong number. You will be provided with 100 off-net minutes to stay connected with other network friends. Chat unlimited with your friends as Zong is giving you 500 SMS. 1000 Mbs of the free mobile internet for unlimited web surfing. Monthly rent of Z300 package is Rs 300 + tax after 27% discount. Minimum security deposit required is Rs 1000. Z500 is giving you 2000 Zong to Zong minutes to connect with on-net friends. 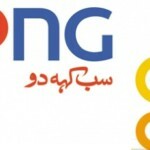 If you want to stay connected with off-net friends, then Zong is giving you 250 minutes for networks other than Zong. You will also get 1000 SMS to message to your friends and family. Access the internet unlimitedly with 2000 Mbs of data bucket. You have to pay Rs 365 + tax as monthly rent with 27% discount. Rs 1000 are required as the monthly security deposit for activating the package. Unlimited free on-net minutes to enjoy calling from Zong to Zong. 500 minutes for other networks so you can call any off-net numbers. Never stop to chat with your friends with 2000 SMS for all local networks. Access and surf the web for free with 4000 Mbs of the internet. Monthly rent for activating the Z900 package is Rs 675 + tax with 27% discount. Rs 2000 as the monthly security deposit is essential for this package. Enjoy free talk time to any on-net number with unlimited Zong to Zong numbers. Stay connected with your off-net friends as well with 800 minutes for other networks. Chat, chat and chat with 4000 SMS for all networks. Upload your pictures, stay online on social media or whatever you want with 8000 Mbs of mobile data. Rs 1095 + tax will be charged as monthly line rent with 27% discount. You will have to pay Rs 3000 as the monthly security deposit. Only postpaid customers of Zong can avail this offer. No call setup charges or any other additional charges are included in this package. Zong has authority to change incentives or deactivate any of these bundles at any time. If you want unlimited minutes, call and data Mbs on a monthly basis then you should go for Z bundles of Zong.